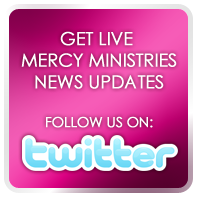 Mercy Ministries News: Mercy Ministries Goes Mobile! Now it is even easier to get up-to-date information about Mercy Ministries while you are on the go. Mobile web design company, ur mobile, donated their services and created a mobile website for Mercy that allows you to connect to us right from your phone! This mobile version of our website loads more efficiently and has a more user-friendly interface than a traditional website. More importantly, this technology also makes it easier than ever before to give to Mercy! You can make a donation whenever and wherever you want by visiting www.mercyministries.org on any web-capable mobile device. With just a few simple steps you can help make a difference in the lives of the hurting young women we serve! Be sure and check it out! Thank you to ur mobile for donating this incredible technology!